Advanced Aquarium Consultancy is dedicated in the art of reef aquarium care , custom aquarium design , coral gardening, supply of live corals, fish and other marine related equipment, and consumables. AAC’s other attributes are, it’s continuing focus to bring cultured and ‘homegrown’ farmed, captive raised and maricultured corals and clams to the forefront of the retail and online stores. With a history of over two decades of marine aquarium study, specialising in reef aquarium installations , coral care and captive propagation , AAC can provide you with the complete product knowledge required, for a successful reef aquarium in your home or business. 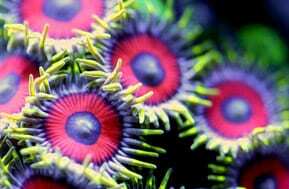 Advanced Aquarium Consultancy, has also brought hundreds of captive grown corals to the uk market place, and further more, installed and maintained many successful highly coral productive and thriving reef aquariums for our clients. Many coral species from our coral mother colonies, are used to start off our client aquarium installations. AAC continues to push the boundaries in this field, and provide a hardy alternative to wild caught species wherever possible. AAC also firmly believes in a environmentally and sustainable trade, and only supports those suppliers that follow the relevant regulations and rules required within the aquatic industry.